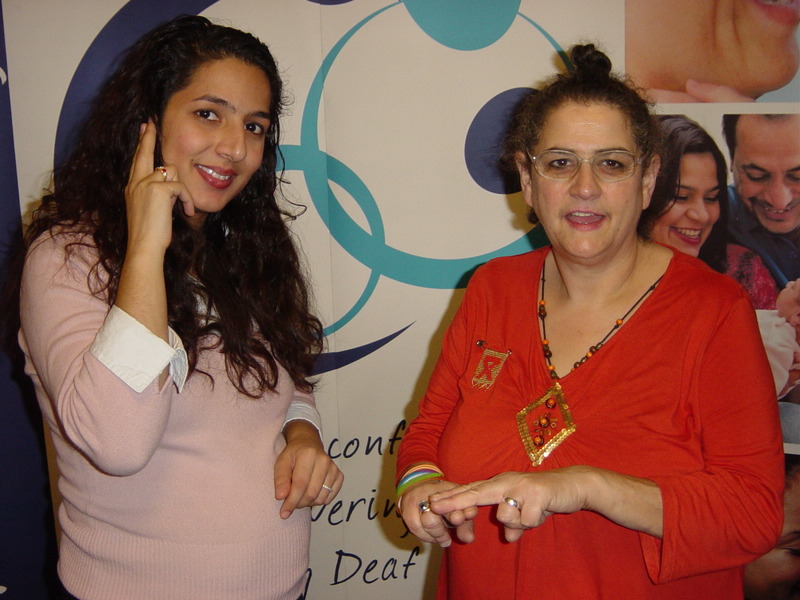 The aim of this seminar was to show service professionals within the Health, Social Services, Mainstream parenting organisation and education on how well DPUK have achieved and highlighting the gaps in services for Deaf parents/deaf parents to be. Around 30 service professionals from different sectors and 12 deaf parents attended the event. A special guest of honour presented herself at the seminar and gave a positive word of support for DPUK – ‘Carole Vincent from BB8!’ Carole is currently involved in a Big Brother Charity Event – an online bid for “DINNER DATES with EX-HOUSEMATES” and Carole is raising monies for several charities, one of which is DPUK.